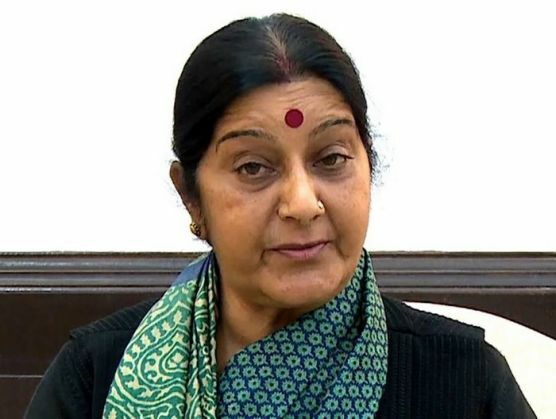 External Affairs Minister Sushma Swaraj's meeting with Prime Minister Narendra Modi at his residence, 7 Race Course Road on Wednesday evening has ended but the suspense over the fate of Indo-Pak talks continues. According to reports, the decision on Foreign Secretary-level talks would be taken today. Earlier speaking to reporters, Ministry of External Affairs (MEA) official spokesperson Vikas Swarup said the decision regarding the Foreign Secretary-level talks would be taken after the meeting between Swaraj and the Prime Minister. However, no official words on the meeting came yet. Earlier, a meeting was held at the residence of Swaraj with MEA officials, including Foreign Secretary S Jaishankar. Almost 48 hours before the scheduled meeting between the Foreign Secretaries of the two countries, Pakistan media earlier on Wednesday reported that Jaish-e-Muhammad (JeM) chief Maulana Masood Azhar had been detained. Media reports suggested that Masood Azhar was also taken into protective custody and was being questioned. However, the MEA late on Wednesday evening said there was no official confirmation from Islamabad on the arrest of Masood Azhar. "We have no official confirmation on the arrest of JeM chief Masood Azhar. We have seen the press release that has been put out by the Pakistani side, but we have no official confirmation on the arrest," said Swarup.